The United States is home to nearly two million DREAMers, undocumented immigrants under the age of 35 who arrived as children, seeking a pathway to citizenship. 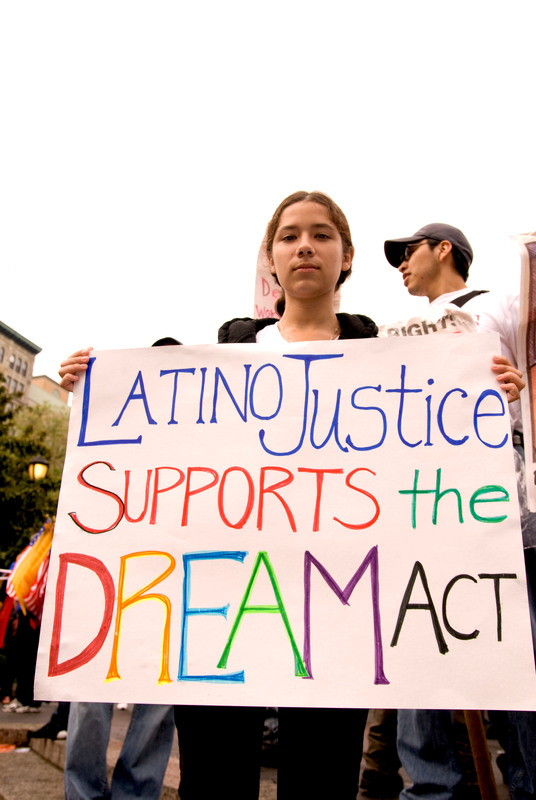 While Deferred Action for Childhood Arrivals (DACA), signed by President Obama, grants legal recognition and amnesty to some, their future is tenuous under the Trump administration. Dr. Angela Chuan-Ru Chen is former director of the Undocumented Student Program at UCLA and current director of Pre-Health Dreamers, which supports undocumented students interested in health care careers, and Marielena Hincapié is the Executive Director of the National Immigration Law Center. Dr. Chen, Hincapié, DREAMer activist Yahaira Carrillo Rosales, and moderator Ian Masters discuss ways to navigate the current immigration landscape, particularly how to advocate for support programs and undocumented student policies. Fabiola Santiago, an undocumented UCLA student with a master’s degree in Public Heath, attends a graduation ceremony for UCLA "Dreamers", or Dream Act students, at a church near the campus in Los Angeles, California on June 15, 2012.